A bonanza of sparkly stickers and royal dress-up play. Love glamour? Fill your calendar with invitations to the ball. Your Disney Princess friends adore your wardrobe know-how. So dress them up for all sorts of royal events. Beautiful ball gowns, dainty slippers and sparkly tiaras. 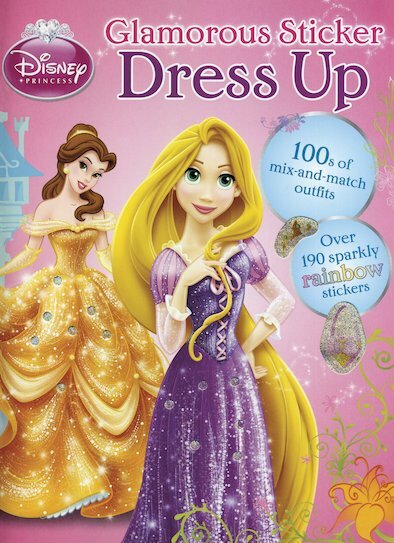 Here are over 190 sparkly costume stickers for the princesses to wear to celebrations and balls. That’s right: it’s party time – and the secret password is ‘glamour’! Make the girls look their fairytale best.